Medical confidentiality is the cornerstone of trust between doctor and patient and we keep your records secure and confidential. For your direct care either from the practice or within the NHS hospital service we imply your consent to pass on relevant clinical information to other professional staff involved in your direct care. Only when there is a legal basis for the transfer of data, we may pass limited and relevant information to other NHS organisations to improve the efficient management of the NHS or to aid medical research. Please read our Privacy Poster , which is also on display in our reception area, along with our privacy notices which you can read by clicking on the following individual links 1 2 3 4 . To read about how Primary Care Clusters in Wales use your information click here . If you wish to object to the use of your data for these “secondary” uses please speak to: Mrs Shelagh Hughes, our Practice Manager. If you wish to access your medical records held at the Surgery, we suggest, in the first instance, that you discuss your wish with your usual doctor - he or she may be able to tell you the information you wish to know without you having to request a copy of your notes. If you do not wish to discuss your request with your doctor please contact Ms Charlotte Campion or Mrs Nia Roberts on 01492 515787 so that they can help you further. Please read our SAR Patient Information Leaflet for more information about how to make a Subject Access Request and print off the required consent form. If your enquiry is with regard to your hospital records you will need to discuss this further with the Access to Medical Records officer at the hospital who will help you further. Please note that the practice adheres to GDPR principles, to the principles of Caldicott Guardianship, to the Freedom of Information Act 2000 and to the Mental Capacity Act 2005. The practice has CCTV, with a CCTV policy that adheres to data protection principles. We make every effort to give the best service possible to everyone who attends our practice. However, we are aware that things can go wrong resulting in a patient feeling that they have a genuine cause for raising a concern. If this is so, we would wish for the matter to be settled as quickly, and as amicably, as possible. If you would like to raise a concern, you should either arrange telephone, write to, or arrange an appointment with Mrs Shelagh Hughes (Practice Manager) at Cadwgan Surgery, 11 Bodelwyddan Avenue, Old Colwyn, Conwy, LL29 9NP. Alternatively, if the above methods are not convernient, a member of staff help you raise your concern with Mrs Hughes my means of e-mail. If necessary we will help you write down your concern. Alternatively, you can ask an friend or relative to write on your behalf, but they must include your signed consent if there is a need to look at your medical records in order to address your concern. Please tell us in as much detail as possible about what has gone wrong, and what you would like to be done. If you would like to receive more information about our process for dealing with concerns, please contact the Practice Manager or click here to read the surgery's 'Putting Things Right' policy. You may also want to click here for more resources about 'Putting Things Right'. 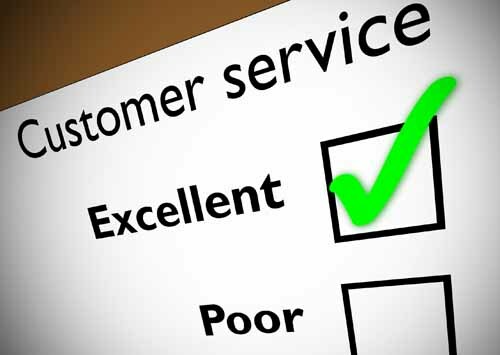 We would also like to hear from patients when we have done a particularly good job! Click here to see our repeat prescription statement, and here for the Welsh version. The practice does not tolerate abusive or violent behaviour towards any member of its staff by patients, and such behaviour will result in the you being deregistered and being asked to contact Betsi Cadwaladr University Health Board. Information about the General Practioners and the practice required for disclosure under this act can be made available to the public. All requests for such information should be made to the practice manager.Please click on the link below for a copy of our Publication Scheme. Please click here for our Publication Scheme (Feb 2019).